Iran's Foreign Minister who helped negotiate nuclear deal, caught on camera joining chant calling for end of US, Israel, and UK. Iranian Foreign Minister Mohammad Javad Zarif was caught on camera joining in a public chant against the US, UK, and Israel during a recent address by the country’s Supreme Leader, the Ayatollah Ali Khamenei. During the Ayatollah’s appearance at a gathering in Tehran last Thursday, a crowd spontaneously began chanting “Death to America”, “Death to Israel”, and “Death to the UK”. Sitting nearby the crowd, Zarif can be seen mouthing the words of the chant and smiling at times. Other senior Iranian officials were also in attendance during the chant, including Ali Akbar Salehi, the head of Iran’s nuclear program, and the chief of Iran’s Revolutionary Guard, Mohammed Bakri. Foreign Minister Zarif represented the Iranian delegation during negotiations with the US and European powers for the 2015 Joint Comprehensive Plan of Action, better known as the Iran nuclear deal. 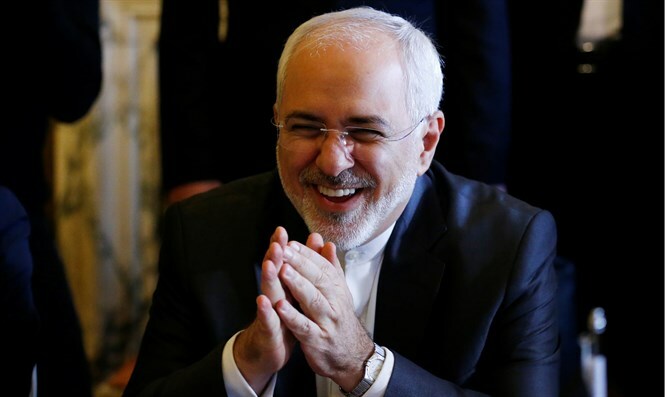 After President Donald Trump’s decision earlier this month to effectively withdraw the US from the JCPOA and reimpose sanctions on Tehran, Zarif has lobbied European leaders to maintain the deal – including the comprehensive sanctions relief for the Islamic republic.